Don’t you love lemony treats? 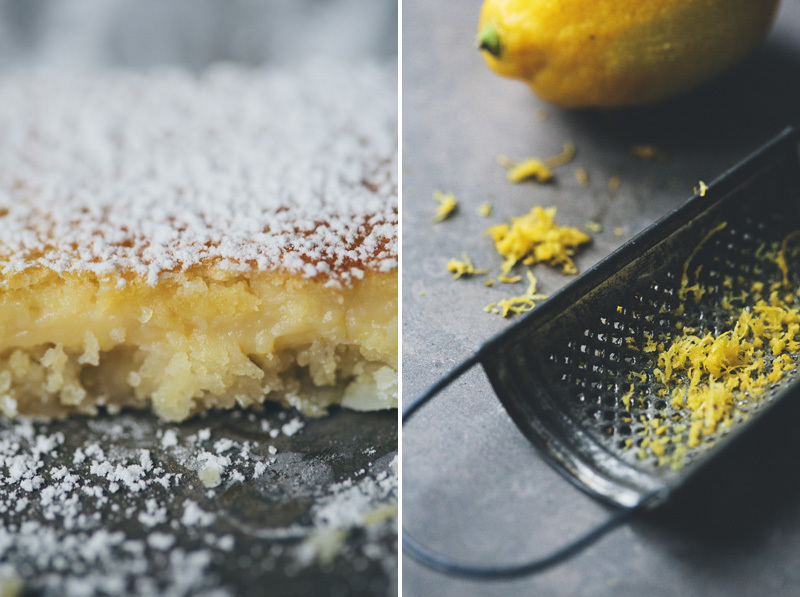 I have only blogged one lemon recipe so far and that’s Lovely Lemon Tart. But I do dream of perfecting paleo Lemon Curd or even a paleo Lemon Meringue Pie – but that’s for another time. So I was absolutely delighted to visit Green Kitchen Stories and to discover these tasty numbers! 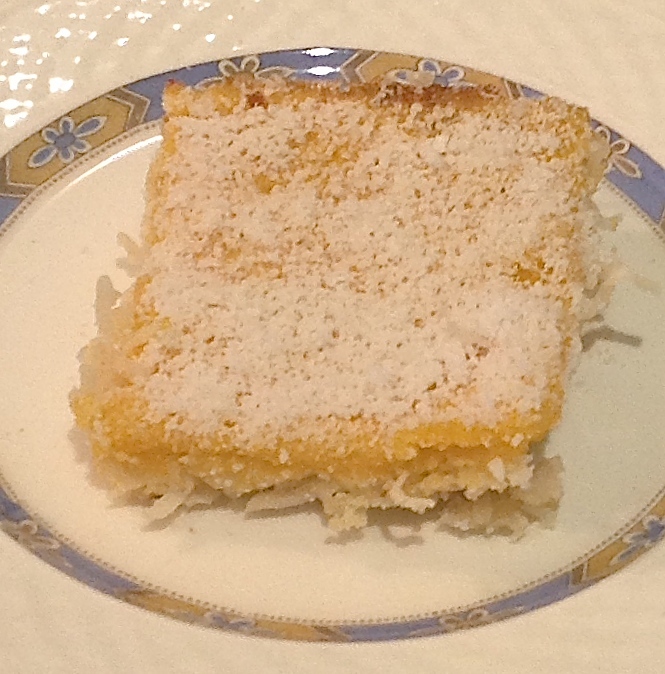 You can find the recipe for these Perfect Lemon & Coconut Bars here so head over and like me, go bake them. Then come back and let us know if you love them as much as the batch I baked. These have been made with honey, very tasty, and with 2 tbsp less maple syrup in the lemon mix, also tasty and a little tart. For the dusting, I used my coffee bean grinder to powder coconut shreds then sieved that over the top. YUM! Making these for Mothers Day! Thanks Wendy. Thanks for sending the slice into work, it was so delicious. Your choice of honey was great!